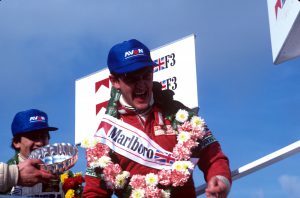 For a fleeting moment in the early 1980s Tommy Byrne was the world’s greatest Formula 1 driver, a man who looked set to rival Senna and Schumacher with his fearless style and his record-breaking speeds. 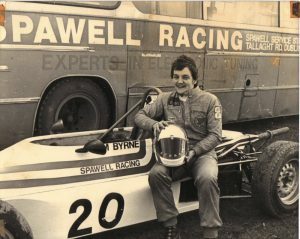 Coming from humble Dundalk roots and starting out as stock-car driver in rural Ireland, he quickly rose to win a host of championships and set new records in time trials in the UK. 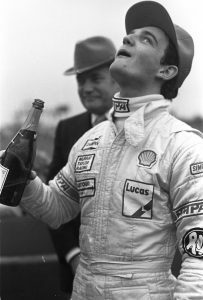 Never at home or fully welcome in the privileged world of Formula 1 drivers, Byrne’s wild behaviour – including a series of drink and drug-fuelled escapades and an altercation with Ayrton Senna – ultimately led to his exclusion from the club. 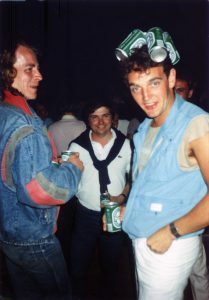 Director, Seán Ó Cualáin (Men at Lunch) finds Byrne in Florida, now a driving coach, content with his lot, but bitter about a career that was doomed before it even began.